Kirby Your Enthusiasm: FAIR ENOUGH: the Adelaide comix scene is vibrant! BY ACCIDENT, I learned about the Adelaide Toy and Comic Fair while visiting the city in late April. So I dropped in on the Saturday morning and bought a ton of cool comix from local creators. I was informed that Adelaide has a vibrant comics scene, which is obvious from the high-quality material I picked up (and even the stuff that I’ve bought previously in Sydney from dudes like ComicOz, who publish DECAY and Retro Sci-Fi Tales). My thanks to Anthony and Miranda for the long, friendly chats we had on the day. You guys are all very talented folks. 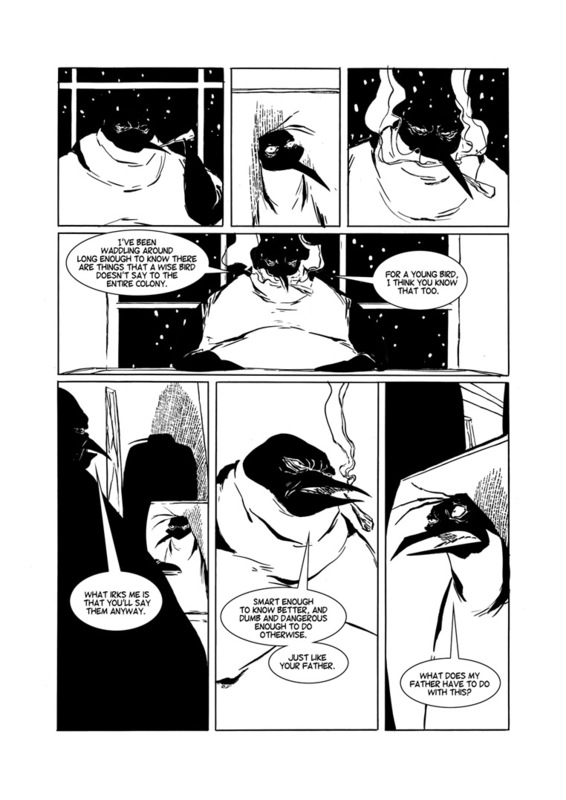 A crime noir tale involving penguins? Hey, it works for me. There’s a conspiracy happening on the ice floe, but who’s gonna believe the son of a cannibal, who’s main claim to fame is terrible haikus? Murder, mayhem and tenpin bowling...this entertaining series has it all. Holfeld’s art is amazing, even though I found it hard sometimes to distinguish between all the main penguin characters. Find out more about the series at http://inforthekrill.tumblr.com/. 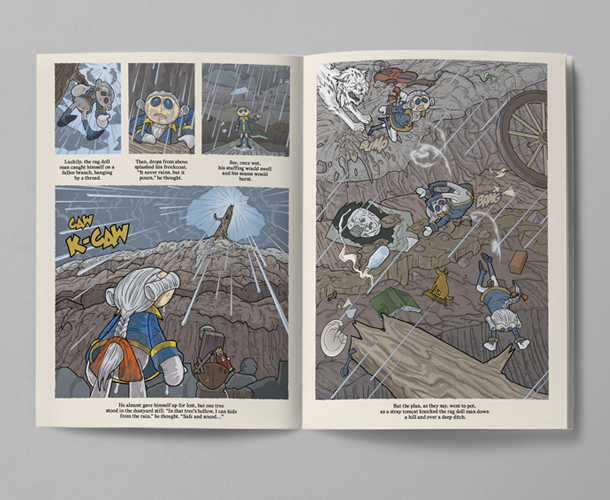 This is a classy-looking, A5 graphic novel, broken into three sections by Wilkinson. His Photoshop-enhanced artwork is a bit hit’n’miss, but is spectacular at times and the lush paper it’s printed on doesn’t hurt either. A young guard, a cynical warrior and an arrogant royal from different kingdoms are thrown together when a supernatural army invades their world. I first saw the idea of magic being like a drug explored in Buffy The Vampire Slayer, and Sovereign’s Dread explores that theme as well. Get your copy at https://www.facebook.com/sovereignsdread/ or https://sovereigns-dread.myshopify.com/. I got talking to Anthony at the fair and he was a really nice guy (as I’m sure is Chadwick, but I didn’t really chat to him as much as Anthony). Anyway, these guys strive to produce work as good as anything you’d see from Image, and I’d say they’re succeeding. 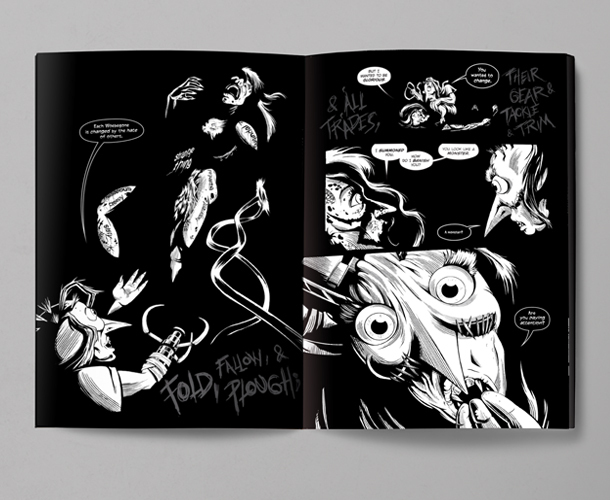 Dappled is a stark, B&W horror tale that touches on the taboo subjects of suicide and self-harm in teenagers. It’s pretty damn good. Dappled cost $6 but the guys struggled to find change for my tenner. I told them to keep the change. Instead, they gave me Rag Doll – and I’m so glad they did. This is a wonderful tale about a discarded old rag doll trying to find a new home before making a brave and heartbreaking decision in a rubbish tip. The story is whimsical, sad but ultimately uplifting while the art would fit nicely into a children’s book. 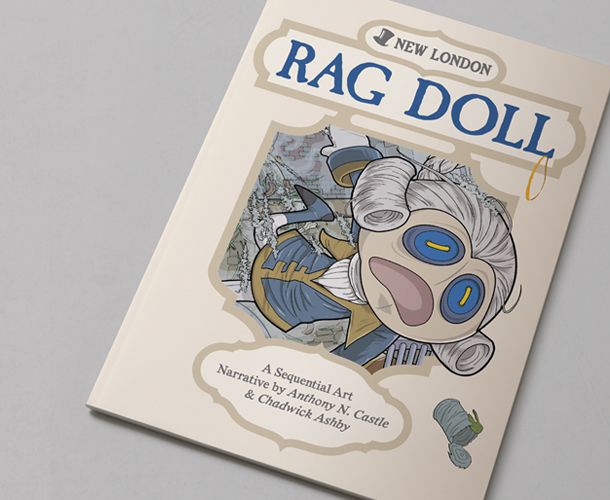 In fact, Rag Doll could be reformatted as a children’s book and I think it would sell very well. I enjoyed it a helluva lot. Anthony and Chadwick are a formidable team. Check them out at www.newlondoncomics.com and www.facebook.com/newlondoncomics. I chatted with Miranda for a while and had a lovely discussion about the Adelaide comix and zine scene. I picked up the first three issues of Hail and it turned out to be another revelation. 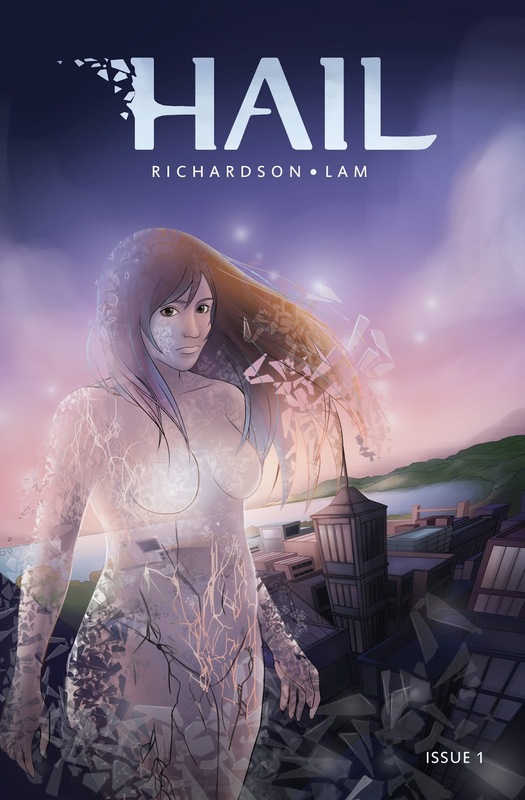 Hail is superficially a superhero tale, but it’s also a story about a woman with severe anxiety problems and her battle to deal with them. But she’s not alone in her fight. Lena literally shatters like glass and falls to pieces when under duress. Friends encourage her to take this crippling disability and turn it into a positive by fighting crime. By the end of issue three, Lena is a fully functioning superhero with an amazing support team. It’s a very uplifting story and I found the characters extremely likable. 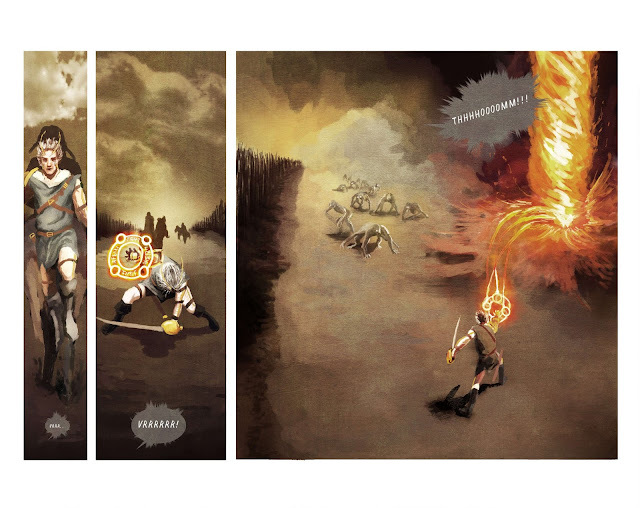 Rosanna’s art is part-manga, part-realistic and all good. Support this great local comic by heading to www.hailcomic.com. I’M ALWAYS happy to support the local comic scene, especially those that make it to newsagency shelves. So...naturally, I grabbed this mag when I spotted it on the stands. 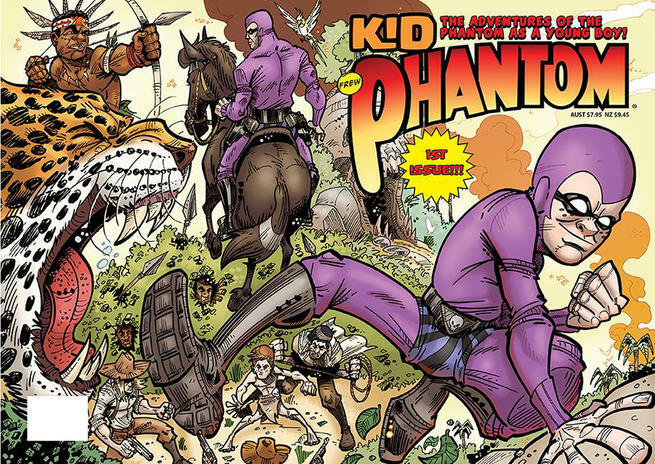 So this is The Phantom’s version of Superboy ,essentially: how a young Kit Walker became the Phantom. Interesting kick-off issue with FREE stickers (which I’ll never complain about). The story wasn’t the strongest, but I enjoyed Mason’s art and I love the idea that it’s an ongoing series, so readers can see how young Kit blossoms and grows into the masked hero we know and love. So, it’s a cool A5 full-colour comic, but will anyone buy it? Who knows, especially at AUD $7.95? There are a lot of loyal Phantom fans who buy the regular comic, so maybe Frew have hit a home run here. We’ll know for certain if and when a second issue appears.